The Colorado Rockies turned heads throughout the sport of baseball last season as they claimed the second wild-card spot in the National League en route to their first postseason berth in eight years and the third-best regular season in club history. The 2017 season was described as “storybook” by one player, with many others sharing similar takes on what was truly a miraculous season for the boys on Blake Street. However, if the Rockies want to make it back to the postseason and advance past its opening stages in 2018, they will need to make some major improvements while also fine-tuning some areas. Part of the reason the Rockies were so successful last year was their youth. 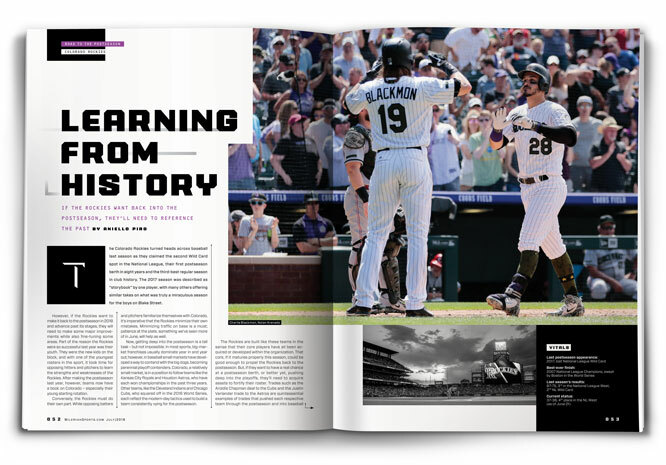 They were the new kids on the block, and with one of the youngest rosters in the sport, it took time for opposing hitters and pitchers to learn the strengths and weaknesses of the Rockies. After making the postseason last year, however, teams now have a book on Colorado – especially their young starting rotation. That said, with the summer heating up, if the Rockies can manage to find a way to play consistent baseball throughout the duration of the season, they could once again be on their way to punching a ticket to the playoffs for the second consecutive season. Now, getting deep into the postseason is a tall task – but not impossible. In most sports, big-market franchises usually dominate year in and year out; however, in baseball, small markets have developed a way to contend with the big dogs, becoming perennial playoff contenders. 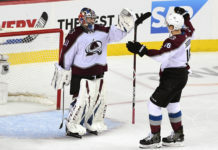 Colorado, a relatively small market, is in a position to follow teams like the Kansas City Royals and Houston Astros, who have each won championships in the past three years. Other teams, like the Cleveland Indians and Chicago Cubs, who squared off in the 2016 World Series, each reflect the modern-day tactics used to build a team consistently vying for the postseason. The Rockies are built like these teams in the sense that their core players have all been acquired or developed through time within the organization. That core, if it matures properly this season, could be good enough to propel the Rockies back to the postseason. 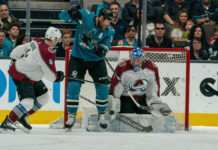 But, if they want to have a real chance at a berth, or better yet, pushing deep into the postseason, they’ll likely need to acquire assets to fortify their roster. Trades such as the Aroldis Chapman deal to the Cubs and the Justin Verlander trade to the Astros were essential trades that pushed each respective team through the postseason and into baseball history. 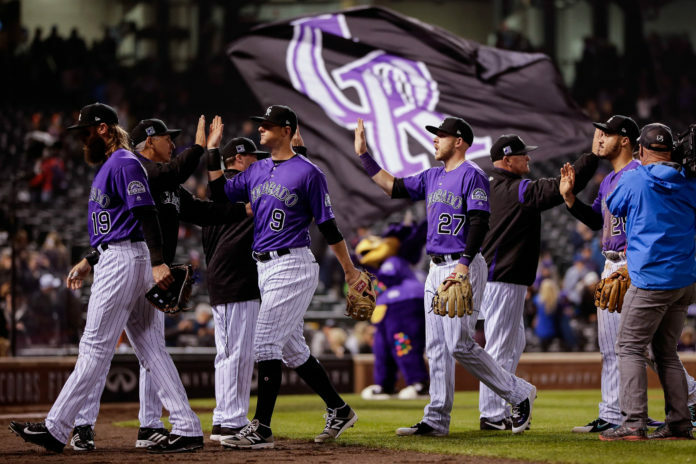 That type of a trade would require a massive haul of Colorado’s rich farm system, but winning comes at a cost, and a game-changing addition to the starting rotation or bullpen may be what it takes to take the Rockies to the top. The Rockies are a melting pot of talent and it is up to manager Bud Black to mold the team into one that can take the next step, potentially an elusive task for Black, who does not have a postseason win in his career as a manager. Like his team, Black is learning how to win consistently in the hunt for October. 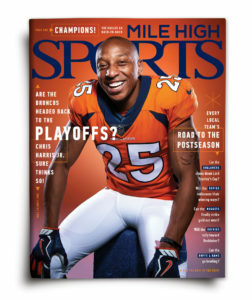 Colorado has spent boat-loads of money in the past couple of years to enhance the team. One of the biggest moves the Rockies made this past happened last offseason, when they constructed the most expensive bullpen in baseball history. 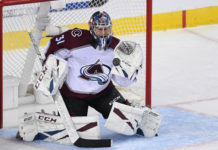 Colorado invested over $45 million towards their bullpen in the offseason and had upwards of $100 million guaranteed to the pen entering the season. The offseason was highlighted by the signings of Wade Davis and Bryan Shaw in addition to the re-signing of Jake McGee. In the previous offseason, Colorado signed Ian Desmond to a five-year, $70 million deal in addition the signing of relief pitcher Mike Dunn. General Manager Jeff Bridich has invested a hefty amount into the club over the past few seasons in an attempt to build a championship contender. Bridich’s moves are significant enough to demand results. Pair this aggressive new stance with an outstanding core that’s come up through the system – recent All-Stars Nolan Arenado, Charlie Blackmon, DJ LeMahieu and Trevor Story – and there’s no grey area in terms of expectation. Outside the core doesn’t drop off much either; Colorado’s supporting cast, with Gerardo Parra, Carlos Gonzalez and David Dahl among others, offers depth, power and experience. Colorado’s farm system is deep, which will give them flexibility throughout the season. Players like Ryan McMahon, Carlos Estevez, Antonio Senzatela, and Raimel Tapia will all likely bounce around between the minor leagues and “The Show”. The Rockies captured lightning in a bottle last season and were able to make it back to the postseason for the first time in nearly a decade. Now, in the midst of what they hope will be a successful follow-up season, the Rockies find themselves being tested. A hot start that saw the Rockies leading the NL West has cooled off more than once. Turning up the heat – growing and maturing, while also being mindful of how past champions were constructed – will be the charge from now until September. The strengths and successes from last year must somehow must resurface at 20th and Blake. To begin the summer, the Rockies were widely believed to be the local team closest to a title. Will that notion survive long enough to see another ‘Rocktober’? Bridich and Co. have spent millions to find out. Bats – Listen, since their conception as a franchise, the Rockies strength always has and always will be their hitting. Year in and year out, the Rockies’ offense consistently ranks atop the leaderboards in key statistics such as team batting average, home runs, RBI and hits. Although the bats struggled to get going in the early portions of the 2018 season, the club has a prolonged history at finding their stride at the plate throughout the course 162 games. 1-2-3 Punch – The Rockies have one of the best 1-2-3 combinations of individual talents in baseball. Colorado’s trio of players in Nolan Arenado, Charlie Blackmon and DJ LeMahieu provide the Rockies with one of the best cores in baseball. All three players are All-Stars, with Blackmon and LeMahieu each claiming batting titles in the past two seasons. All three players are in the midst of their primes, with 2018 potentially being the last season they all share the field together due to upcoming free agency – meaning, their time to win is now. Adam Ottavino – Amidst the Rockies’ big name, offseason acquisition,s Ottavino has been the team’s best relief pitcher this season, featuring a minuscule ERA and WHIP. If Ottavino can continue to lock down the back end of games for the Rockies, he could be the driving force that gets Colorado to the postseason once again. The ‘pen – Exiting June, the Rockies relief corps ranked within the bottom five in the majors. That stings, but making matters worse is (was) the expectation of this particular group. The revamped bullpen, which includes the lucrative signings of Wade Davis and Bryan Shaw, must live up to its billing. If it doesn’t, Rockies fans know how this story ends. Home Cookin’ – Or is it cooking at home? In most situations, teams in any sport usually have success when playing at home, but struggle when on the road. Historically, that has undeniably been the case with the Rockies. Oddly, the opposite has been true this season. Having a losing record in games played at Coors Field just won’t work. Youthful Uprising – The strength of the Rockies last season, ironically, was the team’s young pitching staff. Starters who weren’t necessarily expected to be major contributors were. And this season, with one more season under their collective belt, they’re not. If the young guns return to form, things should turn for the better. Some of MLB’s most recent champions have captured titles by building internally and then making a deal at the trade deadline, essentially at the “point of optimization,” which is exactly where Colorado is now. The Rockies may want to take a page out of the history book.